Everyone has their go-to salad and this one is mine. This salad is so simple that a recipe is hardly necessarily. There is one key thing that makes this salad so good– quality ingredients! 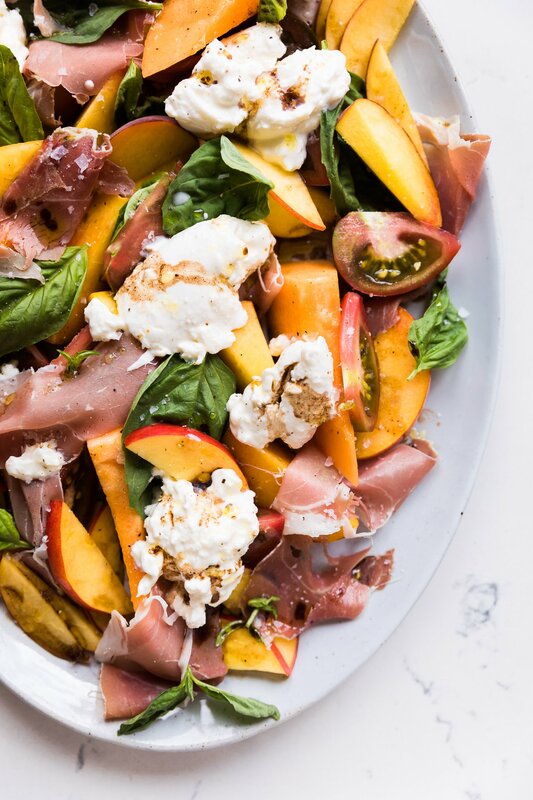 Make sure to source the best, most ripe fruit and quality prosciutto, extra virgin olive oil and flake sea salt. This salad is otherwise easy to make and serve. I like to keep the fruit in big pieces to make this almost a fork-and-knife salad, but you could slice and dice this any way! The perfect easy summer salad! 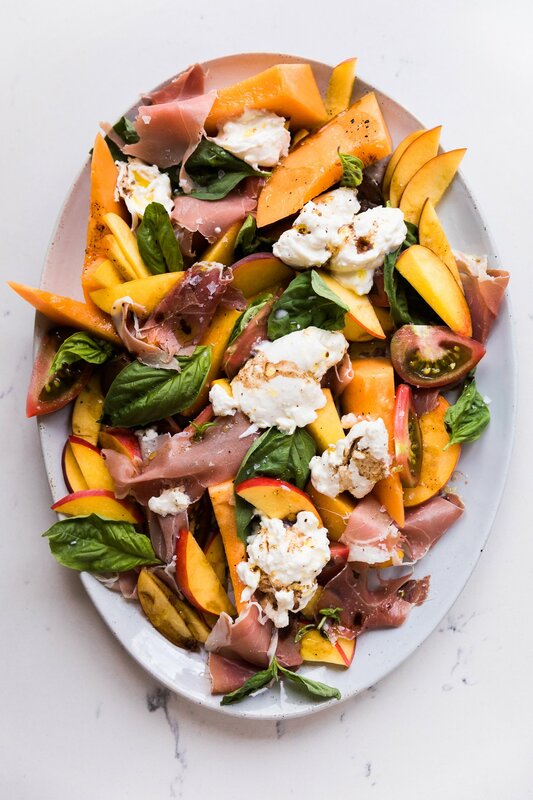 Cut the fruit into wedges and slices and drape the prosciutto over the fruit. Add fresh basil over and tear the burrata over the salad. Whisk the balsamic vinegar and olive oil together and add a large pinch of sea salt and a few grounds of black pepper. Dress the salad and serve. This is everything I want rn. And the styling on this plate is MAGIC! YUM! 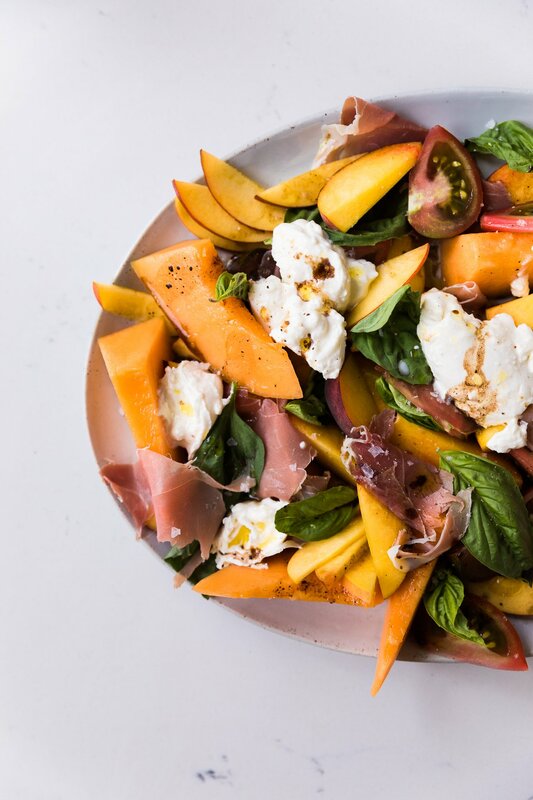 I make a similar salad but without the cantaloupe (we call it rock melon in NZ!) – will have to try adding that next time. Summer on a plate! Thanks! Yes, hope you try it soon! Wow this looks soooo good!! I’m salivating for everything in this salad! It’s sooooo good!